Anyone who’s been in business will know how important it is to keep excellent vat and payroll records. Making Tax Digital is being introduced from April 2019 which means it more important than ever to have excellent bookkeeping which is done on a regular basis. ABM can help you meet all your responsibilities in relation to VAT, payroll and CIS. We can give you practical advice on record keeping and, for limited companies and more complex sole traders, we can advise and train you on appropriate software. We are an accredited Quick Books provider and firmly believe that this cloud based user friendly software is the way forward. The aim is to make the bookkeeping easy and keep costs to a minimum, helping you to spend more time on your business. Did you know that HMRC have now extended the scope of their enquiries to include business records checks? The philosophy behind this initiative is that businesses with poor records are unlikely to end up paying the correct amount of vat, PAYE or business tax. Are you confident your records are up to scratch? Do you know your rights as a tax payer should you be selected for an enquiry? ABM offers a full tax investigations scheme for a very reasonable annual fee. Please get in touch to find out more. Are you confident you are making full use of the different VAT schemes available for businesses? Are you aware of the new limited cost trader category in the flat rate scheme? Is the flat rate scheme still the best option for you? The cash accounting scheme works well for businesses whose customers pay late. Did you know that it may be beneficial to register for vat even before you reach the current £85,000 turnover threshold? Were you aware that once registered you may be able to reclaim vat on goods and services you paid for before you were registered? ABM can advise you on all these vat matters and much more, please get in touch to find out more. Have you considered outsourcing your payroll function? Here at ABM all payroll services are done in house by appropriately qualified people. 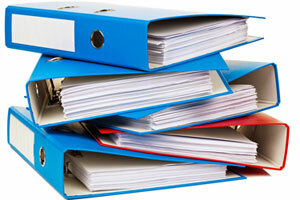 Are you coping with the RTI system? Are you meeting your auto enrolment obligations? Let ABM handle your payroll for you. For a fixed monthly fee you can have peace of mind that everything has been taken care of. Are you having problems coping with the CIS regulations? Have you been hit with big penalty bills for not filing on time? You may have even had your gross payment status taken away from you. Why not let ABM take the stress out of CIS filing and ensure none of these happen to you. If you want to discuss any of these matters, please call on 01642 592802 or email Loraine@teessideaccountants.co.uk.